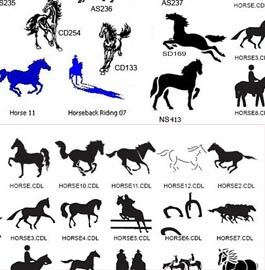 Horses - Viking Designs - Tribal - Celtic - Chinese Designs - Japanese Designs - Animals - Flowers - Maritime - Sport - Dragons - Fantasy - Childrens and more Click Here to Search the image library - choose designs without very fine lines as these would be difficult to apply. 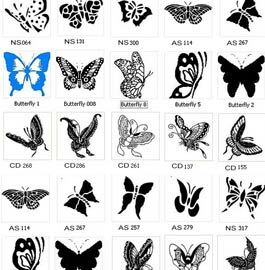 All the vinyl stickers and graphics are supplied on application transfer tape ready for you to apply on almost any smooth clean surface. They should be applied at room temperature. The prices listed below are for one set of vinyl lettering or a single graphic. 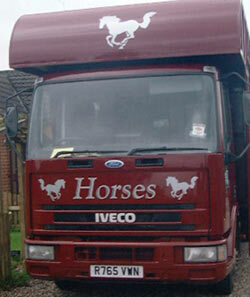 Order two different vinyl letters/graphics on the same vinyl for a £15 discount. Order two different vinyl letters/graphics on different vinyls for a £10 discount. NB. All the vinyls we use are good quality industry standard vinyls. However we cannot guarantee that they will stick to every surface, or the effect the adhesive will have on that surface. The conditions under which you apply the vinyl can also effect adhesion. Vinyl must be applied in a fairly warm environment onto a clean smooth surface. Click here for helpful information about application. Our team at The Sign Maker looks forward to helping you with your wheel cover.